When at 6.45am on Sunday morning a friend texted me saying ‘Look out the window’, I was rather afraid of what I might see. As I rolled up the blind, I could see something large, round and yellow in the sky – a quick Google search revealed it to be something apparently called ‘the sun’, which had once again been in very short supply last week! In fact it was yet another wash-out of a week dominated by rain and temperatures around half of the seasonal average with Sunday marking the 12th day in a row in August where temperatures were around half the seasonal norm, and down at the coast last week they witnessed a weather ‘event’ that bore all the hallmarks of a tornado. 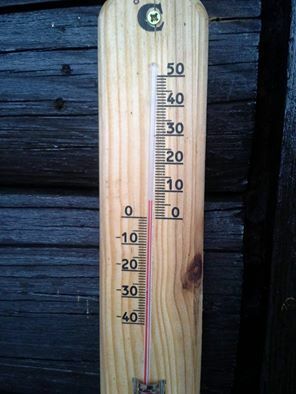 Yesterday, however, was at least a tad on the warmer side. Sunday’s early morning rays of sun didn’t last long, but just long enough to coax us all out (me included) in the false belief that we could finally head out into the great outdoors to seek and enjoy some fine weather and views. So when at 7am a(nother) friend sent me a message, I made a hasty decision where to go and by 8am we were off to Dobrča. Somewhat oddly, Dobrča lies within the Kamnik Savinja Alps, rather than the Karavanke Alps, as it’s location would lead one, understandably, to believe. There are several ways to reach the top including paths which lead from Brezje pri Trziču, Hudi graben, and Bistrica pri Trziču. 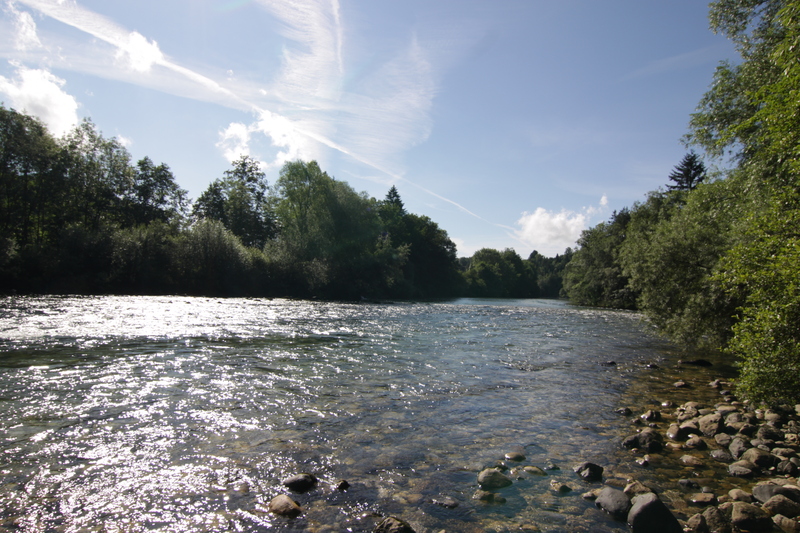 We took the route up from the hamlet of Slatna, which is located on the road which runs along the foot of Dobrča, from Begunje to Trzič – a mere 10 minute drive from Radovljica. 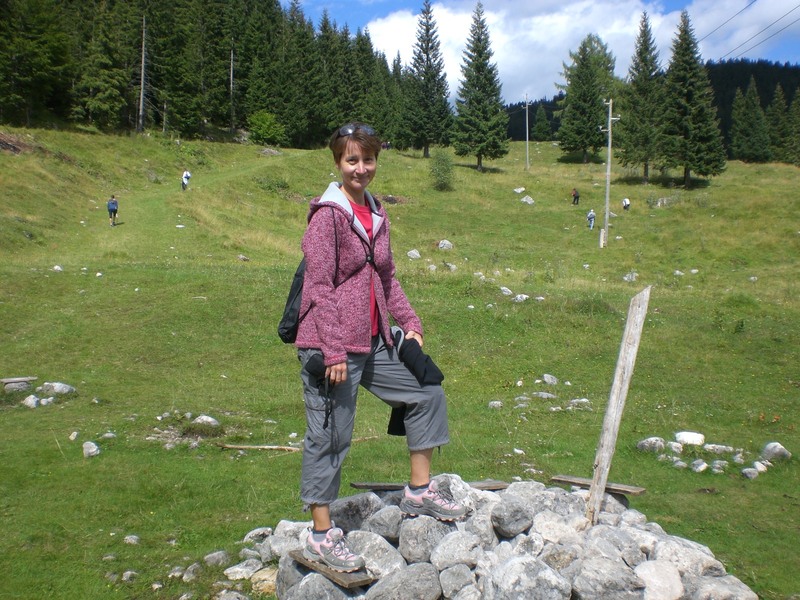 The path goes up steeply through the forest, taking approximately 1.5 hours, to reach the mountain hut, Koca na Dobrči (1478m). 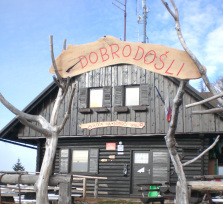 The actual top of Dobrča (1634m) is a further 30 minute walk, and from there a further 10 minute walk leads to the Šentanski vrh viewpoint, which is certainly worth making the effort to reach. We had fully intended to continue to the view point but on reaching the top, the clouds were already gathering and sense prevailed that a timely descent would be prudent. Sure enough the heavens did once again open, though as most of the path leads through dense forest, we managed to escape and return home reasonably dry, also thanks for our early start, had we waited any longer, it would have been a different story! 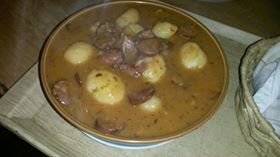 Once the sun had gone, it wasn’t exactly warm up there – as can be seen from the thermometer that was in the mountain hut, but Slovene mountain huts always offer some delicious soups and stews to warm the cockles! Yesterday marked the official start of another new coalition government in Slovenia – the third in the last 2.5 years. The nation can now but wait and hope for a return to more stable and prosperous times; I’m sure none of us will be holding our breath! Nice weather – for mushrooms! Last week started well with Monday being 30+ degrees plus but thereafter I’m afraid to report it was another fairly dismal week of rain and cool temperatures. We really haven’t ever known a summer like this before – and let’s hope we never will again. I think we should now dub the summer of 2014 as ‘the summer that never was!’. Perhaps the only folk who are happy about these conditions are lovers of mushrooms, as the cool, damp conditions have brought an early start and a bumper harvest of mushrooms of all shapes and sizes this year. However, Slovene law dictates that you are only allowed to pick 2kg at any one time and they must be placed in an open wicker basket. Failure to do so can, and often does, result in a 200 euro fine; there are inspectors out there scouring the forests – beware! Oh and of course it goes without saying that you must be 100% certain that you know your mushrooms before picking them as a large majority of them are highly, if not deadly, poisonous. Last Friday began, as have so many days of late, with cool and cloudy conditions but fortunately the rain held off long enough for the annual Meeting of Model Aircraft which takes place at Lesce Sports Airfield. 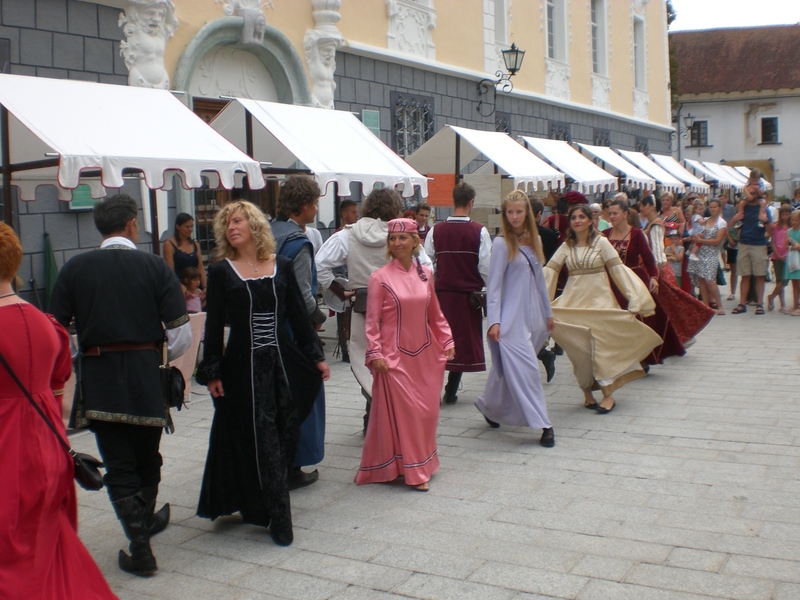 The event attracts competitors and visitors from across Slovenia as well as from neighbouring countries such as Italy, Austria and Croatia. 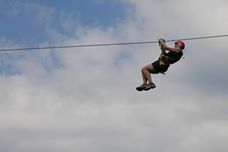 This year 45 competitors took part in the competition (significantly less than usual – the weather again? ), whilst visitors came to watch the spectacle, browse the stalls and get a close-up look at some of the planes on the ground. A cloudy Saturday passed with me spending the majority of it working – translating – but at least when the weather is less than great it doesn’t seem such a hardship being couped up indoors. On Sunday however, after a bright but somewhat chilly start to the day, we were finally treated to a day of sunshine and warmer temperatures so I decided to briefly abandon work and a friend and I headed up to the Pokljuka plateau to make the most of it. 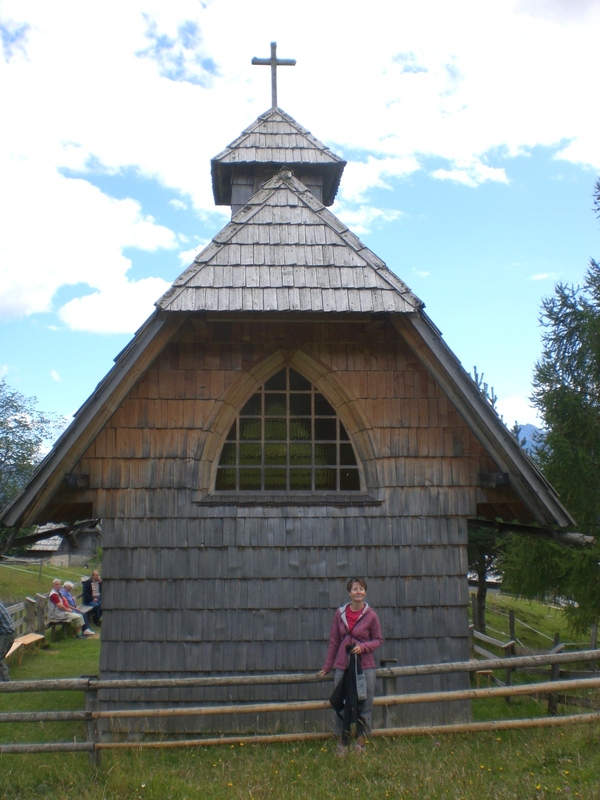 There are several mountain highlands on Pokljuka and one of the most scenic, and also most easily reached, is Uskovnica. It’s a picture perfect working highland with a cute, yet functioning, church, a mountain hut which serves great food and refreshments (Koča na Uskovnici), a number of weekend houses and the chance to buy cheese and sour milk (a thick yoghurt type consistency) which has come directly from the cattle grazing on the highland. We parked at Rudno polje, which is home to the Biathlon Centre and a hotel, then walked, mostly downhill, to Uskovnica, which only takes about 45 minutes. En-route you can stop to see, and/or sit on, the energy points which are supposed to help various medical conditions. Each one is numbered and there is an explanatory board (in Slovene) telling you which one to sit on for various medical complaints, how long you should stay on it, and how many times you must repeat the procedure. I’m generally a bit of a pessimist about such things but go with the attitude ‘Well, it certainly can’t harm’! Other than the almighty storm last Monday evening, which brought with it another wave of damage and destruction, summer sunshine and high temperatures reigned last week and I even managed a whole week without getting drenched! Once again I took full advantage of this and had a weekend packed full of action and adventure. 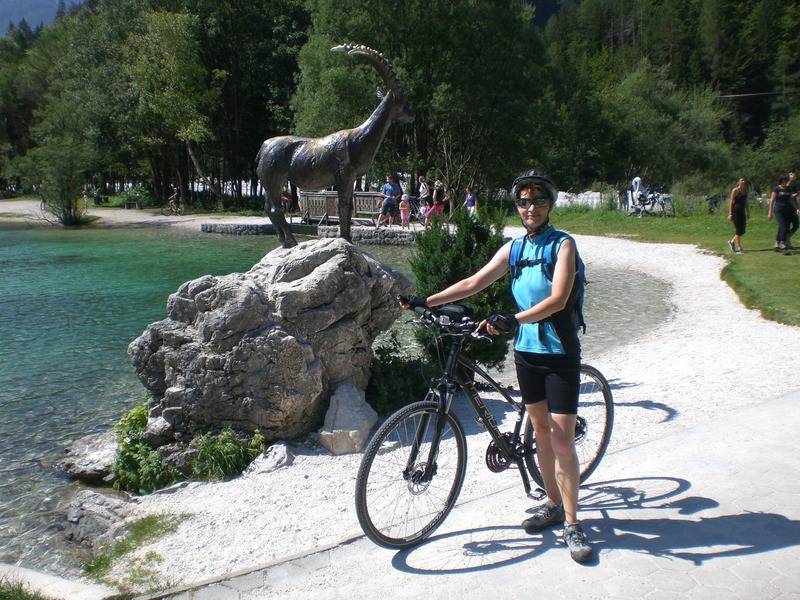 On Saturday morning I set off from home by bike to Kranjska Gora; riding first to Bled, then through Gorje to reach the cycle path through the Radovna Valley (read more about this in a previous post here – http://wp.me/p3005k-hH). On reaching the village of Mojstrana I joined the D2 cycle path which runs along the route of the ex-railway line all the way to Kranjska Gora then onwards to Rateče before continuing into Italy. 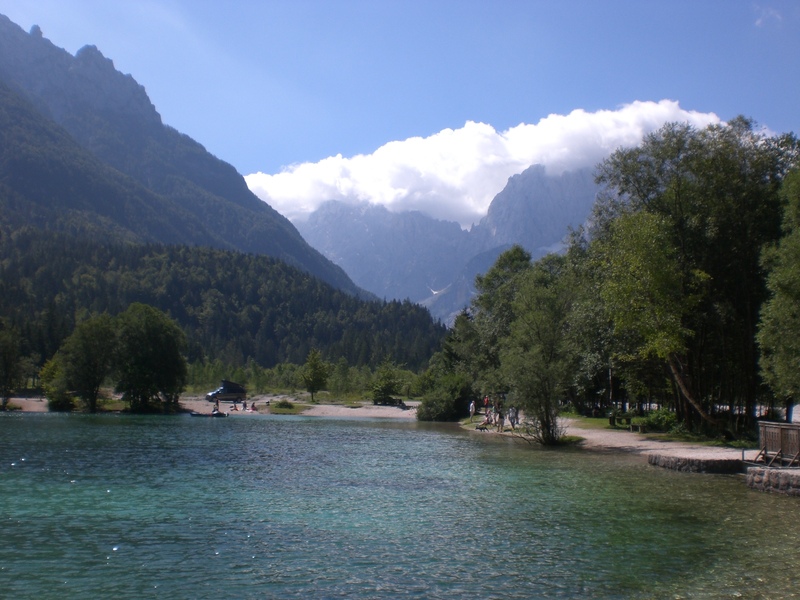 On this occasion, my destination was Lake Jasna in Kranjska Gora, which took a little under 3 hours to reach from home. 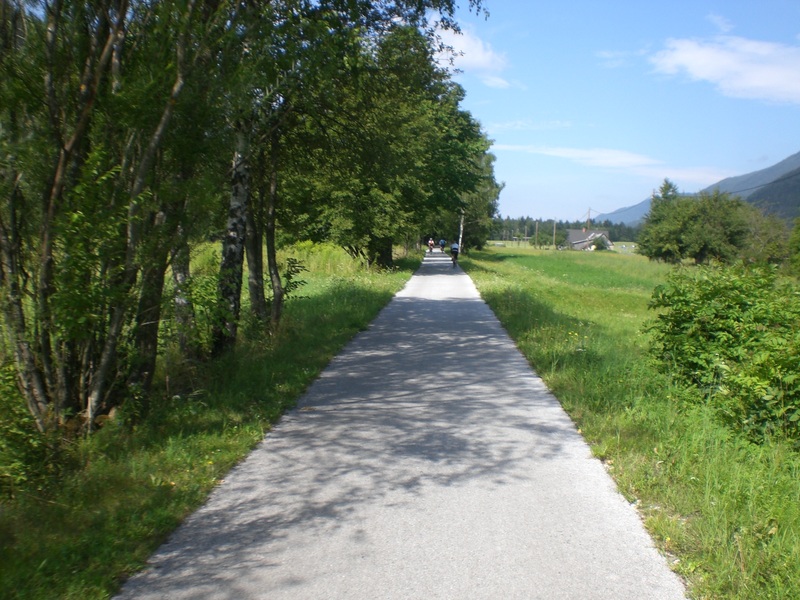 The cycle path is traffic-free and rises very subtly up towards Kranjska Gora. You do have to keep your wits about you though, particularly when the weather is fine, as being one of the rare traffic-free, and therefore safe and child friendly, cycle paths in this area, it is very popularč not only with cyclists but also roller skaters, ski rollers (think cross-country skiing minus the snow! ), dog-walkers and joggers. I nearly came a cropper a couple of times due to errant cyclists admiring the (admittedly) stunning scenery and not looking where they were going and lost tourists straying onto the path with their cars. Oh well, just another couple of scrapes and bruises to add to my already battle-weary legs! Just 2 kilometres from Kranjska Gora, Lake Jasna is a small crystal-clear alpine lake which sits at the foot of the Vršič pass, Slovenia’s highest mountain pass (1611m). The statue of Zlatorog (Golden Horn), as seen below, stands proudly at the lake shore. 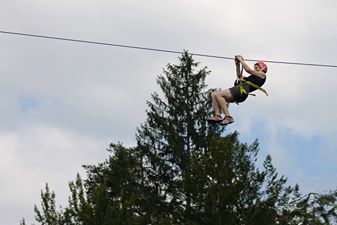 After cycling home, this time via Mojstrana and Jesenice, rather than back through the Radovna Valley, I had a quick rest and then headed down to the Sava river at Radovljica to the opening of the new zip line over the Sava river at the Tinaraft Centre. 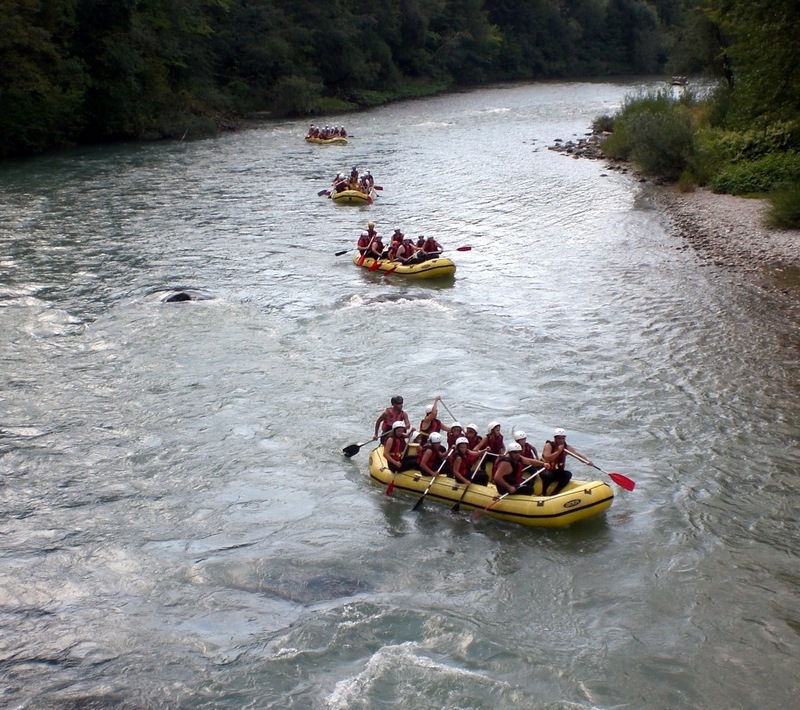 Below you can see me getting prepared, and others rafting on the Sava river, which I was about to zip across from 20 metres high – yikes! Despite being a little tired, when I awoke to another beautiful morning on Sunday, I couldn’t resist the pull of the mountains and set off to hike up to Begunščica. At 2060m, Begunščica is among the highest of the mountains in the Karavanke range. There are a number of ways of reaching the highest point of the ridge, named ‘veliki vrh’; from the Draga valley via the Roblek dom mountain hut, from Ljubelj via Zelenica or, as I did, from the Draga Valley to Preval and then via the (very) steep path which leads seemingly almost vertically upwards for about one hour through the forest before emerging into a rocky area, where a few metres of climbing is required then on to traverse the ridge (note: the approach from this direction is not advisable if you are scared of heights as there is a sheer drop on either side) before reaching the top where an orientation post points out all the surrounding mountains and there are far-reaching views across both Slovenia and Austria. Unfortunately, the clouds beat me to the top on this occasion, so I didn’t take any photographs at the top itself, but there’s already more than enough for this week, and anyway I’ll be back up there sooner or later no doubt! 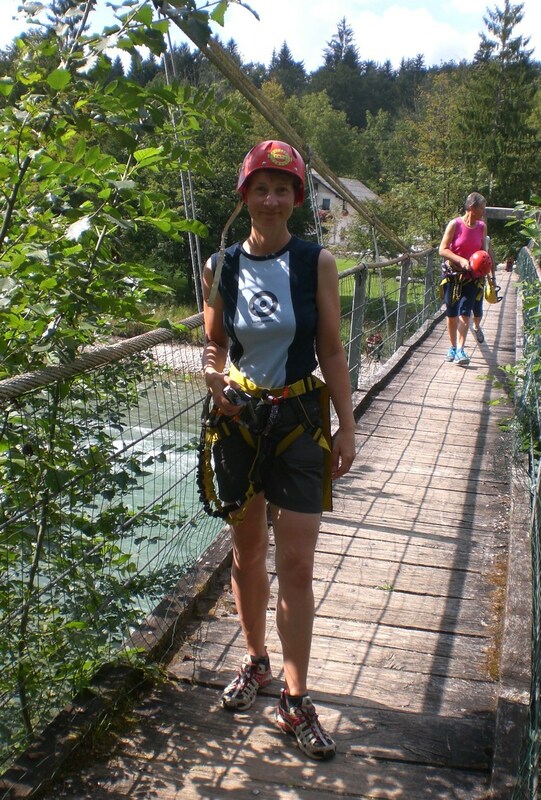 I made the return by the easier, less steep route via Roblek dom and then back down to the valley. 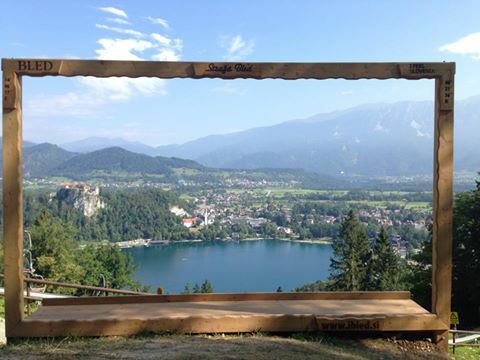 Also this week, as if Bled wasn’t already picturesque enough, a new panoramic photo frame has been installed on the small Straža hill, above Lake Bled (read more about Straža here in a previous post – https://adeleinslovenia.wordpress.com/2014/07/01/hop-on-hop-off-bus-bled-radovljica-and-the-julian-alps/). If you want THE ultimate photo shot of Bled, then its well worth making the trip up to Straža. 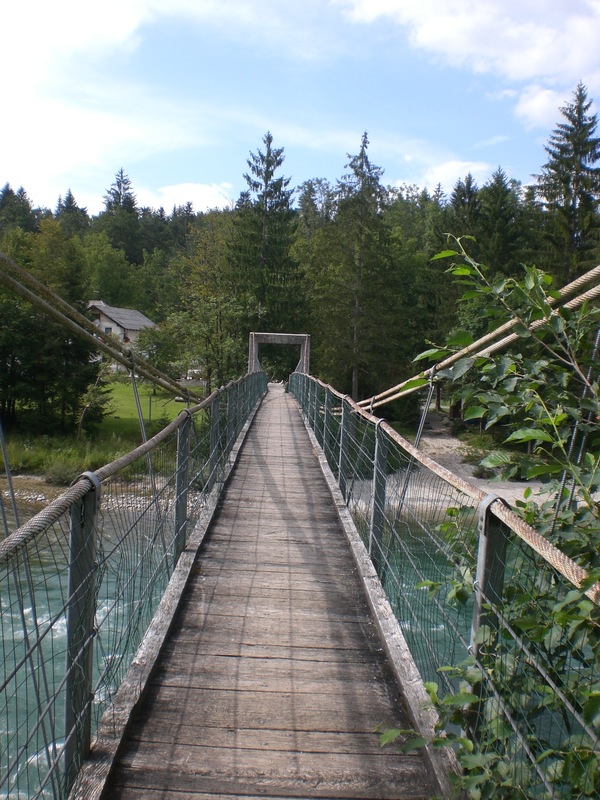 Good News – Following the winter damage, the stairways and bridges at Kamen Castle have been repaired. The ruins of the castle are situated at the end of the village of Begunje, at the entrance to the Draga Valley. As you might imagine, after 12 days of on-and-off rain, I had been itching to get out on my bike and to go hiking in the mountains. So last weekend, with the long awaited reappearance of the somewhat delayed summer, I made up for lost time! On Sunday morning I went by bike from home, in Radovljica, up to the Pokljuka plateau, turning right at Mrzli Studenec, past the Kranjska dolina valley and the Zajavornik highland to the ski centre and the Rudno Polje biathlon centre. 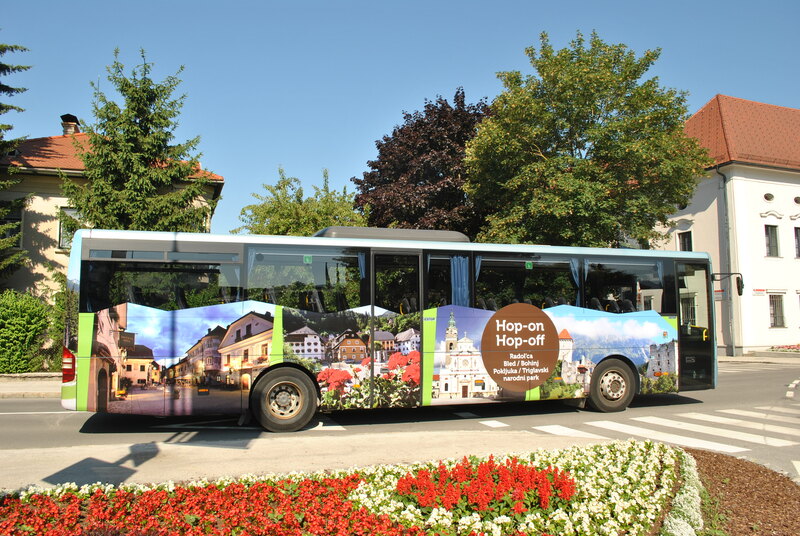 The Hop-On Hop-Off tourist bus (pictured below) goes from Bled to Pokljuka every Saturday and Sunday until the end of August and at just 5 euros per person for the whole day offers an excellent opportunity for exploring Pokljuka. At the moment the whole plateau is awash with forest blueberries, wild strawberries and mushrooms, and people are out foraging in their droves. However, Pokljuka is huge, so there’s enough to go round! If you’d like to explore Pokljuka by bike, but don’t fancy the long slog to get up to the plateau, the Sport Hotel on Pokljuka currently have a special offer price of 10 euros for up to 8 hours bike hire and travel on the hop-on, hop-off bus OR 16 euros for up to 8 hours bike hire, the bus and a traditional Slovene stew. After a break for some much needed sustenance, on Sunday afternoon I first popped down to Radovljica’s old town to visit the Medieval Day festivities. This annual event is always worth a visit, especially as Radovljica boasts one of the 3 best preserved medieval town centres in Slovenia. 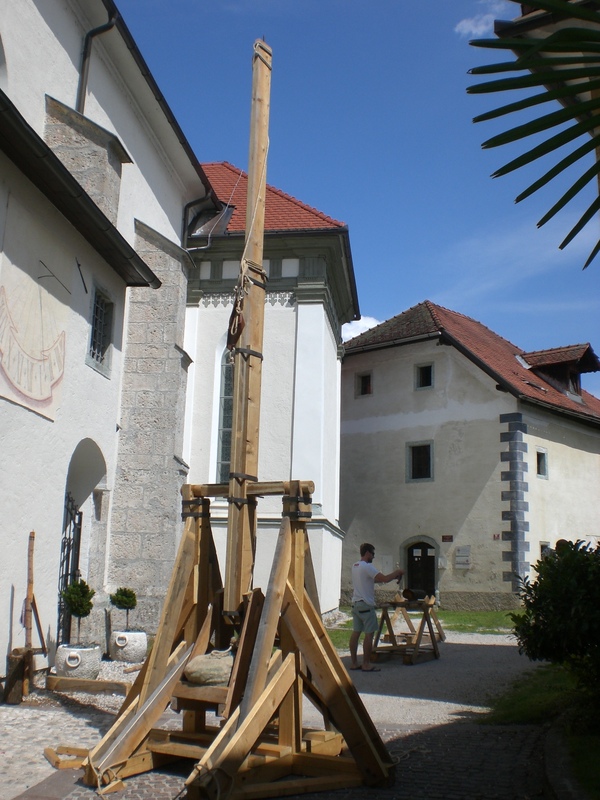 For one day, Linhart Square, the heart of the old town, is transported back to medieval times with theatrical performances, actors in period dress, locals selling their wares on the market stalls, archery, and a new addition this year, a giant handmade catapult. Since I’ve been writing this blog, I have been receiving an ever increasing amount of emails from far and wide; people who have found and read my blog, some of who just get in touch to say ‘thanks’, others wanting advice, particularly about hiking. 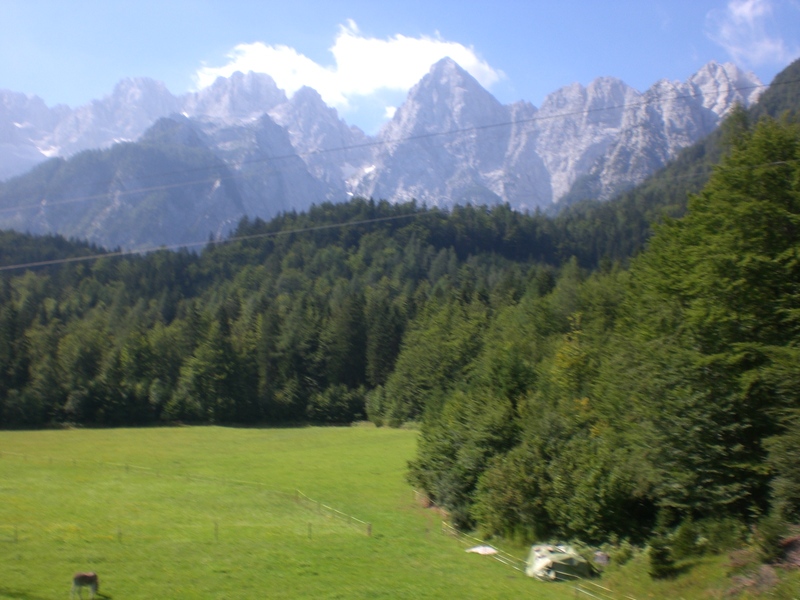 In almost every case however, everyone wants to know about climbing Triglav, Slovenia’s highest mountain, or about hiking elsewhere in the Julian Alps. Whilst it is true that all but one of Slovenia’s highest mountains lie in the Julian Alps (Grintovec in the Kamnik-Savinja Alps, 2558m, being the 8th highest mountain), that doesn’t mean there aren’t other great places to hike too. The Karavanke range, for example, offer some great peaks worthy of exploration and a choice of easier, shorter day walks or more challenging multi-day treks, with overnight accommodation in one of the many mountain huts. The Karavanke form a natural border between Slovenia and Austria, and at almost 120km in length, are one of the longest mountain ranges in Europe. Weather permitting, you are pretty much guaranteed stunning and far reaching views across both the countries. 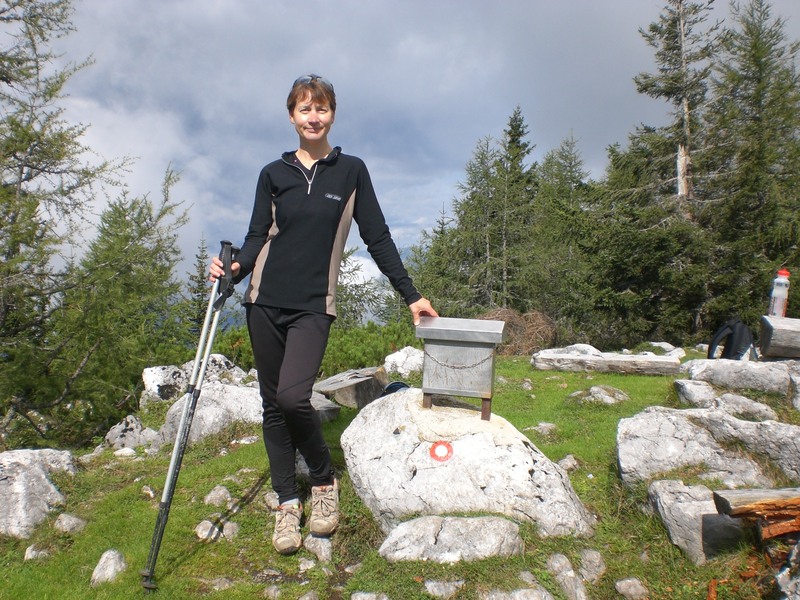 The Karavanke range makes an ideal choice for those staying in the Radovljica-Bled area and I would recommend them as an alternative, and/or additional, choice for hiking in Slovenia. Other than Stol, some of the great peaks and destinations in the Karavanke, and some of my favourite and regular haunts, include Begunščica, Kepa, Dovška Baba, Golica, Dobrča, Preval and Košuta. I have written about many of these previously and by using this blog’s search facility (top right corneer), you can search and find more information.